Product prices and availability are accurate as of 2019-03-23 13:40:19 EDT and are subject to change. Any price and availability information displayed on http://www.amazon.com/ at the time of purchase will apply to the purchase of this product. 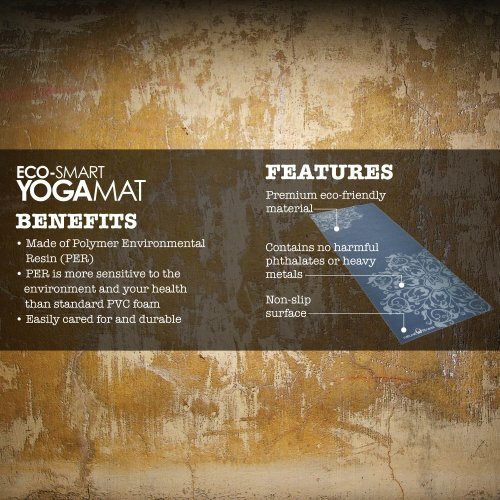 The Natural Fitness Eco-Smart Yoga Mat helps make your practice clean and green. The mat is made from an innovative material that is safer for our environment and your health than yoga mats made from standard PVC foam. 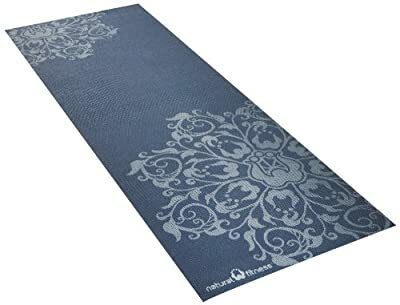 These fashionable mats provide excellent non-slip traction even during the most intense practices. The Eco-Smart Mat does not contain harmful phthalates or toxic chemicals. 24Inch W x 69Inch L.